​Grenada’s French-lexicon Creole, the very first language of an enslaved people brought from the African continent to Grenada’s shores, was widely spoken on the island until the 1930s. Yet, currently, in 2016, the number of speakers of this language has dwindled to a tiny group of elderly men and women. 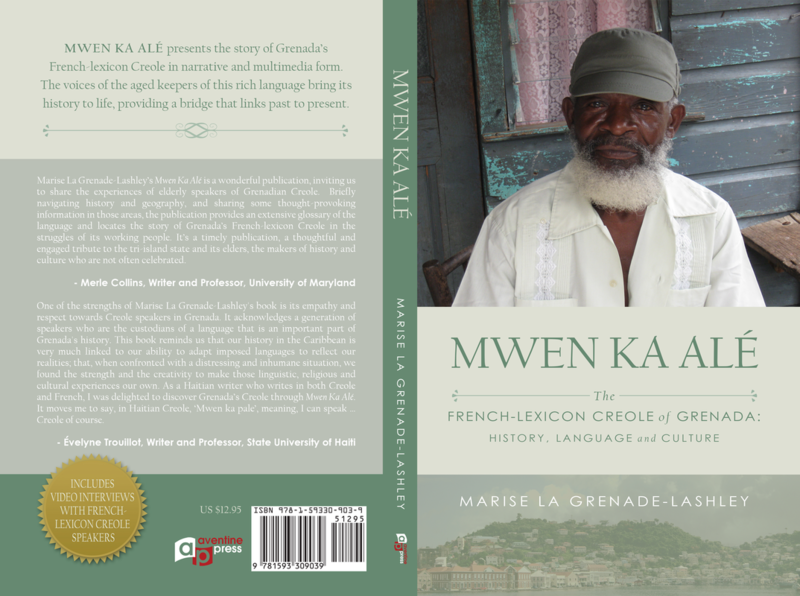 Given the paucity of research done on Grenada’s French-lexicon Creole, Mwen Ka Alé responds to the urgent need to secure a place for this language in the annals of Grenada’s history. "It’s a timely publication, a thoughtful and engaged tribute to the tri-island state and its elders, the makers of history and culture who are not often celebrated."